$ docker run fedora /bin/bash -c "dnf -y update; dnf -y install httpd"
$ docker build -t images/fedora_httpd:v1.0 . Last metadata expiration check: 0:00:11 ago on Sat Aug 13 15:50:45 2016. 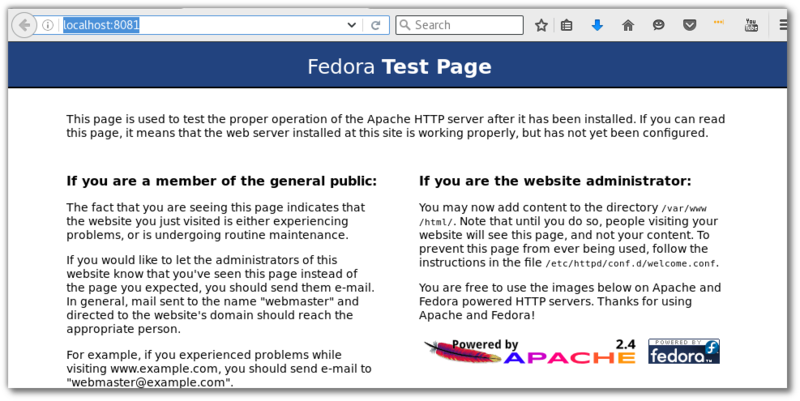 $ docker build -t images/fedora_nginx:v1.0 . $ docker build -t itbakery/fedora_nginx:v1.0 . #docker build --rm -t <yourname>/mariadb . docker build --rm -t itbakery/mariadb . #docker build --rm -t <yourname>/wordpress . docker build --rm -t itbakery/wordpress .